Submenus in the File menu are shown in Figure A. Let us go through each submenu one by one. 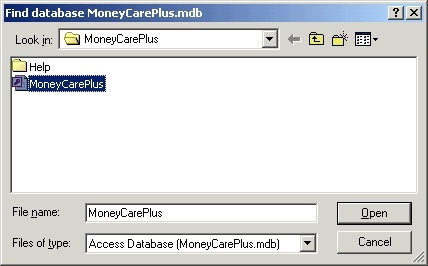 1) Restore Database: Entries in MoneyCare + program are stored in a file type called mdb file or MS Access Database file. When you open MoneyCare + program, previously entered data like Income/Expense details are accessed from this file. By using Open Database, you can open any specified database and it will load automatically all the default settings/data in it. You need not select database each time you start MoneyCare + program. After the first installation, Database file in installed folder will open automatically. If you want to open another database like previously backed up database or database file from another location, then you will have to select it using Open Database. Click Open Database from File menu, select the database from relevant folder, click Open button and this will open the selected database through MoneyCare + program. You can invoke Open Database menu by pressing the keys Ctrl and O simultaneously or from the File menu in program interface. Window for selecting database is shown in Figure 1. 2) Backup Database: This is to backup the database (In MoneyCare +, default database file where all the previous entries are stored is moneycareplus.mdb) to a specified location using Browse Folder. 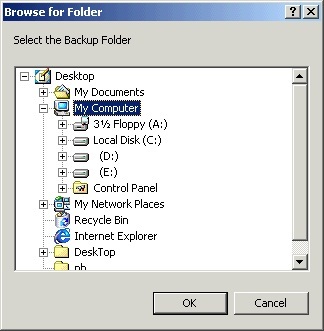 Backup Database is to keep a copy of the database file, in another location of Hard Disk, Floppy Disk, Pen Drive etc. 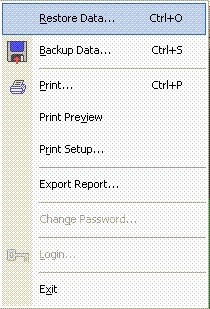 When you choose Backup Database from File menu, you will get a window similar to Figure 2. You may choose a unique folder to keep the backup file. Database file MoneyCarePlus.mdb is very important part of this program. Regular backup of the specified database is advisable. Therefore, even if the computer is crashed or the database is corrupted due to power failure or other means, you can again run MoneyCare + program by opening backed up database file from the backed up location. 3) Print: This is to print a report document. You can set all the print properties also. When you select this option, you will get a window similar to Figure 3. 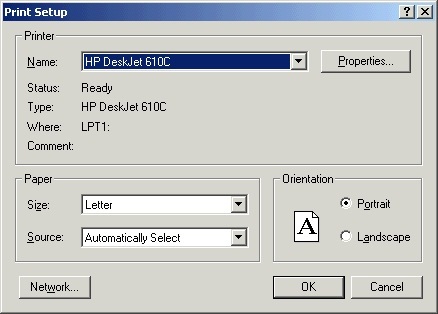 Select the appropriate printer and print the pages. 4) Print Preview: This is to preview a document before printing. The print preview screen is shown in Figure 4. 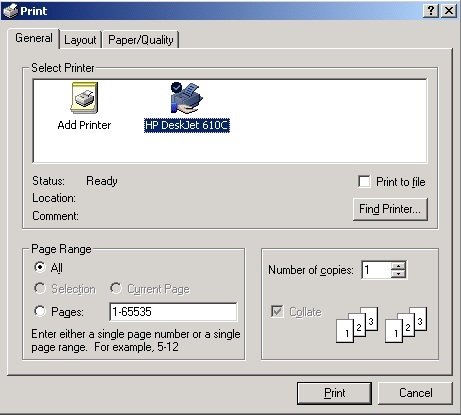 5) Print Setup: This is to Setup the page before printing. When you select this option, a window will pop up as shown in Figure 5. 6) Export to CSV File: If you require to Save MoneyCare + report pages, you may Save in CSV file format. Report documents from MoneyCare + saved in CSV file format can be opened by standard spreadsheet programs like MS Excel. CSV (Comma Separated Variable) files are widely used in compatible with standard spreadsheet programs like MS Excel. Export to CSV File command exports/saves contents that are shown in the report page to a Comma Separated Variable (CSV) file. This CSV file can be opened by standard spreadsheet programs, if required. 7) Change Password: If Bypass Password option given in Default Settings window is checked on, password is not required while starting MoneyCare + each time. If Bypass Password option is unchecked, MoneyCare + will prompt for password each time you start MoneyCare +. The Default Password is ‘admin’ (case sensitive). Change Password option is given in File menu to change Default Password or any other existing password. While changing password, if User leaves blank space only in the New Password area and clicks OK, then program will accept blank space in password field while logging to the program. 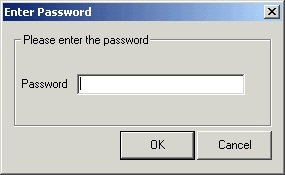 Change Password option will be active only if Bypass Password option is unchecked in Default Settings window. 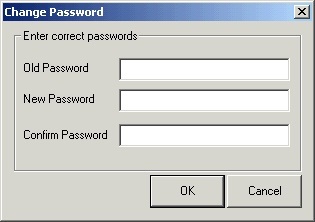 Password change window is similar to Figure 6. 8) Login: This is to login to MoneyCare + program. Password prompt will appear to login to the program while starting MoneyCare +. After logging to the program, Login may not be shown active in File menu. Password prompt while starting program will appear only if Bypass Password option is unchecked in Default Settings window. 9) Exit: This is to Exit from the program. If Automatically Backup Database option is enabled in Default Settings window, it will prompt for Database Backup and will backup the specified database if answered Yes. If Automatically Compact Database option is enabled in Default Settings window, it will compact the database before closing program.